Osgoode Professional Development is currently undergoing extensive space renovations. Our downtown location currently has temporary space. You can continue to reach us via our existing phone and email contact details. Below is the proposed Floor Plan for OsgoodePD renovation, accompanied by development stage designs for the new Reception space and Central Hubs for studying and socializing. > Gow Hastings Architects proposed Floor Plan design for OsgoodePD’s 1 Dundas West space. 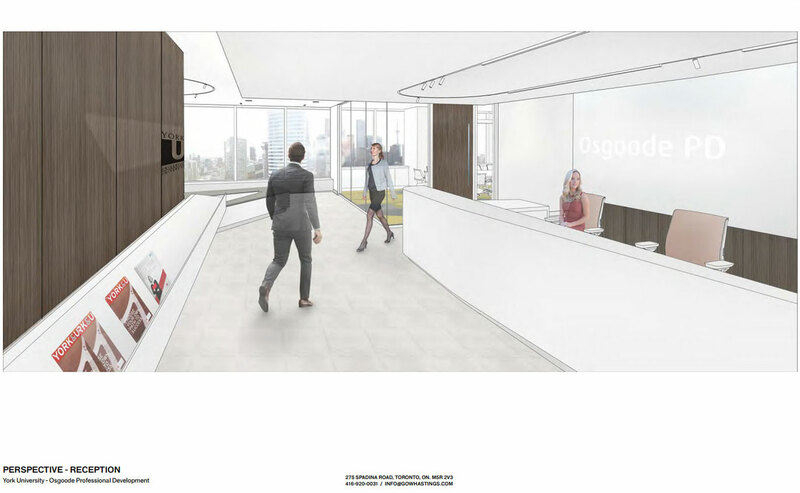 > Proposed renovation design for Reception / Entrance space at OsgoodePD’s 1 Dundas West location. 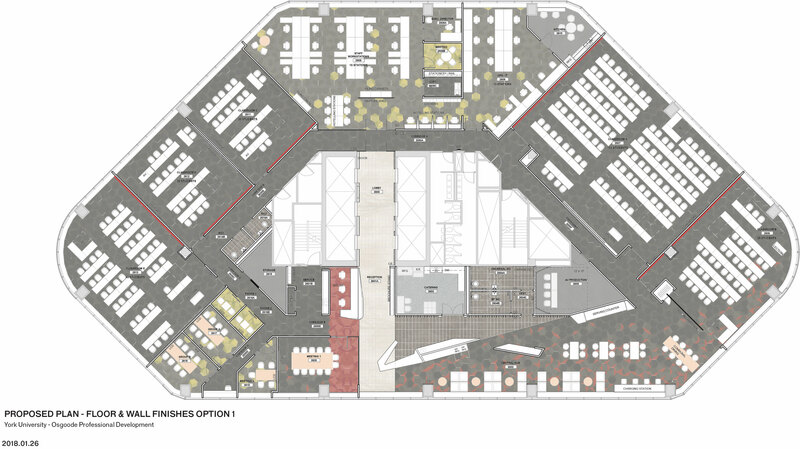 > Renovation design for proposed Central Hub space at OsgoodePD’s 1 Dundas West location. 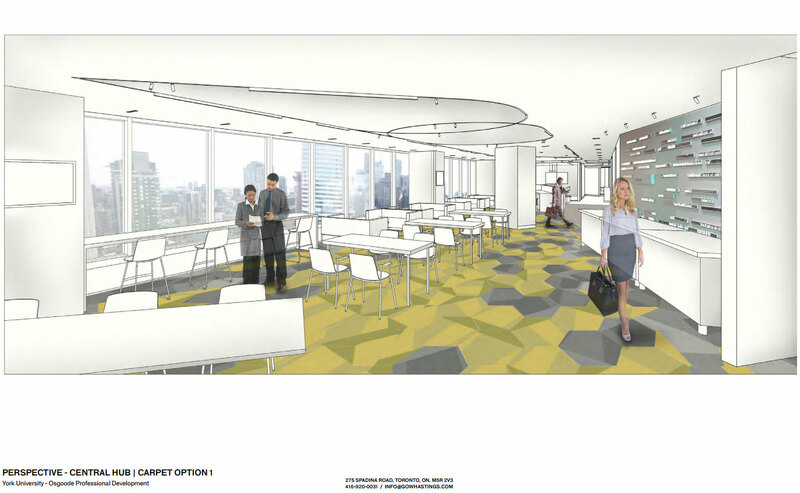 Space will feature student lounge, work stations and dining facilities.